Fill in your details below and we will let you know within 24 hours if we can get One Week Ultimate Werewolf to you with haste! 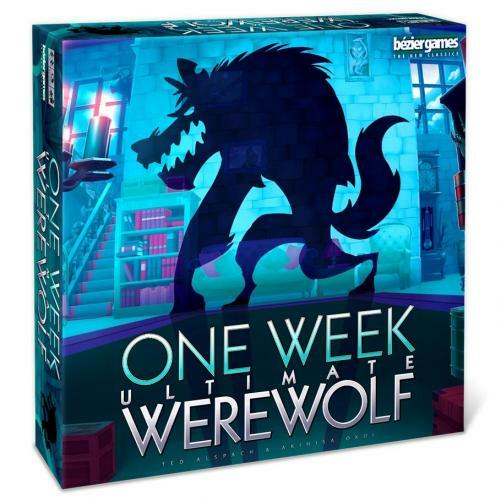 One Week Ultimate Werewolf(TM) takes the exciting gameplay of One Night Ultimate Werewolf(R) and twists it up in a knot, with ever increasing tension as you venture into the special rooms of Ludwig Castle. Each room provides a special power, and those powers are the key to figuring out the mystery of who among you is a werewolf. Roles can be viewed and switched several times over before all is said and done, and the final vote takes place.